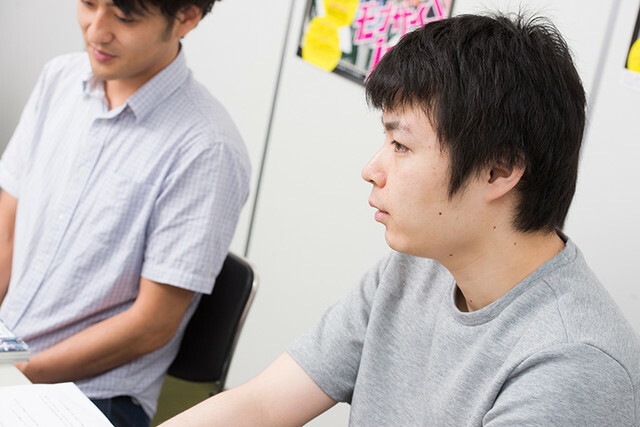 Crunchyroll - "Mob Psycho 100" Creator ONE and Director Yuzuru Tachikawa Discuss the New Anime! "Mob Psycho 100" Creator ONE and Director Yuzuru Tachikawa Discuss the New Anime! "A good-natured show, a box of surprises." That's a charming description of Mob Psycho 100, the new BONES-produced anime based on the manga by One-Punch Man creator ONE. 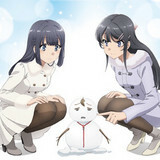 With the first episode having gone live on Crunchyroll this morning, we now have the pleasure of posting a Comic Natalie interview thanks to the translation work of Mark Cha. Enjoy the conversation with ONE and anime director Yuzuru Tachikawa (Death Parade) as they discuss adapting the important elements, casting decisions, and the expressiveness of the anime. An extremely powerful esper who wants to live a ‘normal’ life. Once his bottled up emotions reach their breaking point, his powers cause an explosion! A self-proclaimed psychic who runs the “Talk Stuff About Spirits” Agency. In reality, he doesn’t have an ounce of spiritual power, so he relies heavily on Mob, whom he employs at a 300 yen hourly rate. A high-level spirit who once had the grand ambition of becoming a god. A model student and star athlete. A member of the student council and Mob’s younger brother. Head of the Telepathy Club, a senior at Black Vinegar High School. The first esper Mob ever met other than himself. His pet name is Teru. Classmate of Mob and member of the Newspaper Club. Mob’s childhood friend and the one he has a crush on. Q: Most of the fan response to the teaser seems to have been positive; I’ve seen a number of comments from fans of the original that read something like “It’s pretty much the manga, but animated!” and “The mood’s perfect!” What were your impressions, ONE? ONE: After watching it, I sort of got the feeling that, ideally, my drawings would look just like they do in the teaser. The art hit all the right angles, and I feel like it’s a huge improvement over the original. Q: Director, have you noticed any complaints from the fan-base? TACHIKAWA: When manga get adapted, one of the biggest hang-ups amongst fans is atmosphere—or, more precisely, how much of it gets lost in the transition to animation. 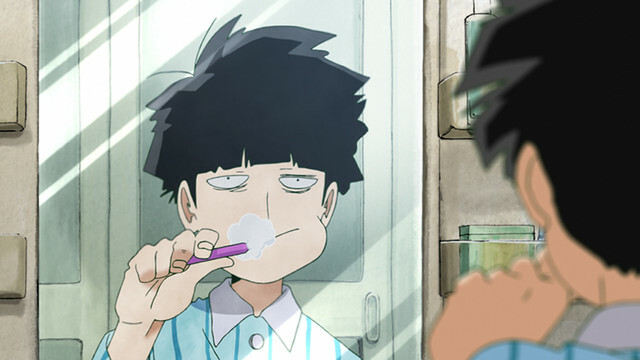 A problem we had to work out with the Mob Psycho 100 adaptation was whether we wanted to make Mob more handsome or go against the prevailing trend and keep him plain. TACHIKAWA: …But we came to the conclusion that, at least for Mob Psycho, we’d be making a mistake if we did that. When I read through the manga, I couldn’t shake how eccentric it was, and I wanted to keep that spirit in the adaptation. And judging from how delighted the fan-base was with the teaser, I think we made the right call. ONE: And it’s thanks to the hard work of the staff that we could keep the designs we wanted. 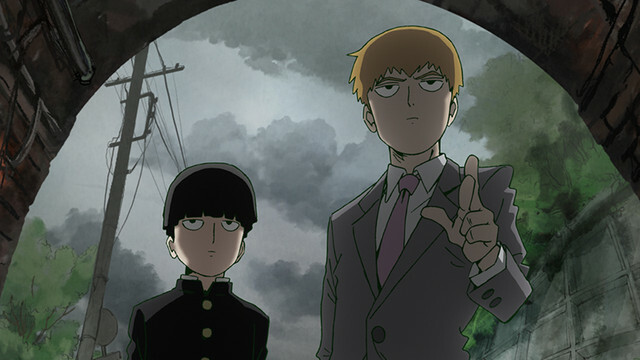 Q: Out of curiosity: did you ever consider the possibility of sexying-up both Mob and Reigen and turning Mob Psycho into a story of male friendship? For the female fans? 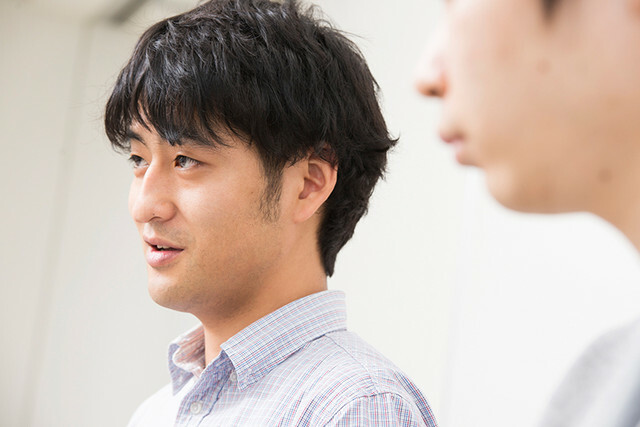 TACHIKAWA: From a production standpoint, having such a clear-cut goal would’ve actually made our job easier. We’d just have to add gloss to their hair, highlights to their eyes, and sparkle to their design. And we have plenty of animators who can do that well, but everyone on our staff actually loves ONE’s art. So we all agreed to keep the designs as close as possible to the spirit of ONE’s designs. 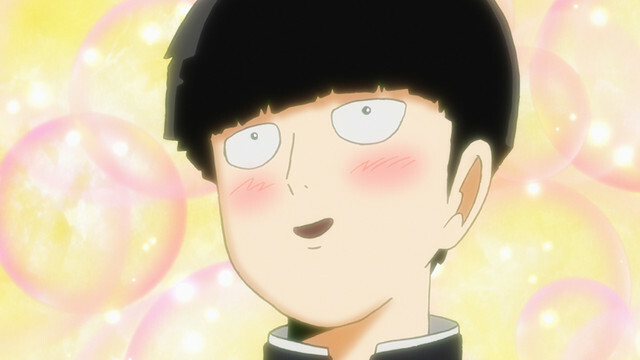 ONE: Mob’s meant to come off as somewhat standoffish or nerdy. If we made him into a supermodel, that’d force us to change a lot of the story. Q: How did you feel when you heard about the anime adaptation, ONE? TACHIKAWA: (Laughs). That was your reaction? ONE: Then I grabbed my phone because I wanted to hear someone say it (Laugh). Once I’d confirmed it with my editor, the realization slowly dawned on me—I just couldn’t believe it! It made me so incredibly happy. Q: How about you, director? 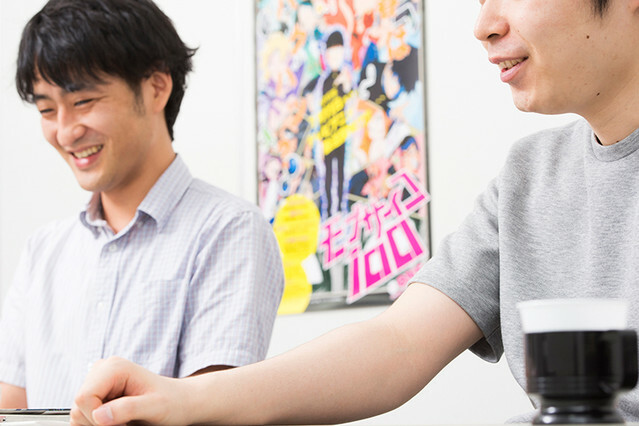 TACHIKAWA: I was six volumes into Mob Psycho when I heard about the adaptation, and… well, to be frank, the announcement made me really anxious. TACHIKAWA: The big question was: how could I keep the adaptation faithful to the source? I drew a massive blank—honestly, I don’t think anybody had a clear-cut idea of what an adaptation would look like. But, while I was fretting over how I’d approach the adaptation, I came to the realization that the show would be an opportunity to try out a number of new ideas. Q: What were some of the difficulties you had? TACHIKAWA: I mentioned this earlier, but I want to make sure that I preserve the strange, inexplicable atmosphere of the original. I love the way ONE uses panels and plans out his pages, but the way that the adaptation looks in that regard will have to be different. I’ve spent a lot of time thinking about how to best engineer a similar mood. I’ve been thinking especially hard about how to translate some of the most impactful pages into animation, and I’m testing out a bunch of ideas. Q: I realize that I’m speaking very abstractly now, but I feel like Mob Psycho 100 is a pretty good show to try out new forms of expression in? TACHIKAWA: Absolutely. I think it’s very receptive to new visual ideas. I’m going to have a lot of fun playing around with it. ONE: The only thing I asked the staff to do was to keep the anime’s Mob looking as close to the original as possible. But other than that, I’d rather an adaptation have some character to it than be a slave to the source, so I’m looking forward to seeing what kind of material the staff ends up adding to certain scenes, like Mob and Teruki’s fight. Or the sections I abbreviated in the manga. Q: In my opinion, one of the manga’s draws is how well-paced the jokes are. I feel like this might be hard to preserve in the anime? TACHIKAWA: You wouldn’t be wrong. We’re paying very close attention to tempo and character interaction. But even then, what’s funny varies from person to person, so I can’t really tell if the audience is going to find our versions of the jokes very funny. All I have to work off is reactions to the voice actors’ performances. ONE: I was there for episode one’s recording session, and I laughed pretty hard at the jokes. I think the material’s actually a lot funnier with voices. Especially with Sakurai Takahiro’s performance as Reigen—it’s interesting how well he fits the material. TACHIKAWA: Each actor brings some pizzazz to their character. Combined with the weird surreal humor, their performances have made me laugh quite a bit. I hope the audiences find it funny as well. Q: What was your impression of their performances, ONE? ONE: It’s great, listening to and seeing the characters with voices. I wrote the manga, but it’s like I’m experiencing Mob Psycho for the first time with the anime. When I started the series, I hadn’t even considered what the characters would sound like—I hadn’t even thought about their ages! So listening to their voices has helped to solidify and flesh out each character for me. Q: I’ve noticed that much of the cast, between Reigen’s Sakurai and Dimple’s Ootsuka, consists of veteran, talented voice actors. However, Ito Setsuo, who voices the main character Mob, is a complete newbie. What informed your casting decisions? TACHIKAWA: I wanted Mob to have a voice nobody would recognize; I wanted the voice actor, just like Mob himself, to be someone relatively unremarkable. We had a huge number of candidates for the role, but in the end, Ito’s voice most fit my idea of Mob. Q: As of yet, we haven’t heard anything but Reigen’s voice. 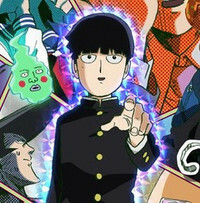 I’m very much looking forward to hearing Mob’s voice! TACHIKAWA: He’s got a very plain voice. In a good way. Funnily enough, Itou wasn’t all that fazed despite being around all that talent in the recording session. I expected him to be nervous and stiff, what with Sakurai, Ootsuka, and a number of other great voice actors around him, but he didn’t even blink. Maybe he’s just an airhead. ONE: I had this thought this during the recording session, but he’s pretty Mob-y. TACHIKAWA: Yeah. And as for our shady Reigen, Sakurai does have an air of mystery about him, so we thought he’d fit the bill. Q: Dimple’s voice actor being Ootsuka seems like a pretty natural casting decision. TACHIKAWA: Well, I’ve always been a huge fan of Ootsuka. But besides that, we wanted a voice actor capable of convincingly playing both the role of a cult leader and a pathetic blob; everyone agreed that casting a veteran voice actor would be the best decision. TACHIKAWA: I think Mob’s interesting in that he’s a character who actively rejects his superpowers, saying, “I don’t need them to live.” You see a good number of stories featuring protagonists who eventually get overwhelmed by the power they possess; Mob Psycho is special because it doesn’t do that. 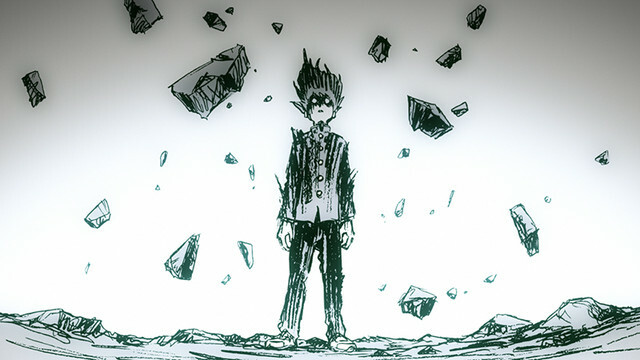 Most of the characters either want powers or want to use their powers to push their ambitions, but Mob doesn’t. And I think that it’s going to be an interesting source of conflict that Mob doesn’t want his powers and Reigen doesn’t have any powers. I’m curious as to what your intentions with Mob Psycho are, ONE? ONE: I wanted it to be something that feels kind. When I came up with the concept, I was thinking something along the lines of ‘kindness’ or ‘the connections between people’. It ended up being an action manga, but my original idea was a slice-of-life that happened to include superpowers. TACHIKAWA: Now that you mention it, I think I get a bit of that kindness. We’ll do our best to realize your vision… That being said, a question: did you model Mob on yourself? TACHIKAWA: Oh! Well, when the staff was reading through the Mob Psycho together, the topic repeatedly came up. You give off a very rustic, simple air. A good-natured vibe. As for me, well, I’m a bit of the opposite. I think it was Kameda (Yoshimichi), our character designer, who said it, but… uh, he called me “real shady” (Laughs). And then he immediately went on to talk about how much of a good person you are. And you honestly do come off as a decent person, so we were wondering whether Mob was based on you. ONE: Really! I’m just trying my best to come off as a good person (Laughs). But I think Mob’s not pretending; he’s a bona fide good person. He’s almost an ideal protagonist. In situations I’d run away from, I want my hero to stay and face the threat; in times I’d throw in the towel, I want my hero to persevere. And I feel like I gave Mob those heroic traits. TACHIKAWA: There’re a lot of characters in Mob Psycho 100, but strangely enough, I don’t get a bad vibe from any of them. You’d expect to dislike at least one character out of such a large cast; I don’t, though, and that’s weird. ONE: Well, Dimple starts off as a pretty nasty dude, but… Well, I wanted to give Mob an otherworldly partner, so I came up with a pretty weird one in Dimple and his fireball design. And I guess, yeah, he ends up becoming a better person over time. ONE: But even with Dimple’s concept, I wanted to build on the idea of a protagonist who changes people’s lives. Dimple softens up as a result of spending more time with Mob. I wanted to make this theme very clear through the character relationships, whether those are the relationships between Mob and Reigen, Mob and Ritsu, or Mob and Teru. The pairs all interact very differently, but I think they’re thematically very similar. Q: I noticed that, in the credits, there’s a mention of Fullmetal Alchemist’s Yoshimichi Kameda doing the character designs. Will he have a hand in the animation as well? TACHIKAWA: Absolutely. We’re also having him supervise the animation. 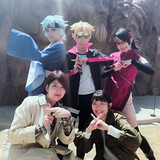 Q: I believe there are a good number of anime fans who are looking forward to the action scenes for his involvement? TACHIKAWA: Thanks to him, a good number of scenes turned very distinctly Kameda-esque. Episode one will feature a Reigen scene with very lively comic colors. ONE: The facial expressions are pretty incredible as well—they’re a joy to watch. I didn’t know Reigen could make those faces. TACHIKAWA: Kameda always goes over the top. He always gives you a bit more than you ask for (Laughs). If you imply that you want him to do his absolute best, to give it 100%, he’ll go away and return with 150%. I think he works best when you ask him to operate at around 80% capacity. Q: I thought I caught a lot of Kameda-isms in the teaser. TACHIKAWA: That makes sense. He did all of that himself, after all. Q: What about the music? TACHIKAWA: Oh, that’s just something we’re using for the teaser—we had our composer, Kenji Kawai, whip something up. The soundtrack for the actual show is going to be pretty amazing as well. We’ve got a wonderfully themed piece for our con man, Reigen, and we’ve got some nicely Showa-influenced tracks. The soundtrack canvases a large range of musical genres, so it’ll be something to look forward to. ONE: I haven’t had the chance to listen to the soundtrack yet, so I’m excited. Q: Do you listen to anything while you draw, ONE? When you draw action scenes, do you listen to livelier songs? ONE: Nope. I pretty much only listen to bands like Spitz. TACHIKAWA: Even the music he listens to is pretty good-natured (Laughs). Come to think of it, volume 2’s cover art reminds me of a Spitz album cover. Q: Oh, you’re right! (Laughs). Lastly, is there anything you’d like to say to the viewers at home? ONE: We get a lot of positivity from our fans overseas, don’t we? TACHIKAWA: There’s so much pressure (Laughs). I’d like to promise that, even though it’ll eat up a chunk of your day, Mob Psycho’s going to be so exciting that it’ll be over before you know it; you’ll be so engrossed that you won’t even want to get up to use the bathroom. The show’s meant to be pure entertainment, something that you can laugh at without thinking very hard. But at the same time, we’re aiming for visual ideas that haven’t yet been seen in anime; Mob Psycho will ideally be like opening a box of very fun surprises. ONE: I think that, with the addition of animation, voice acting, and music, the Mob Psycho 100 anime is a fresh take on the manga. 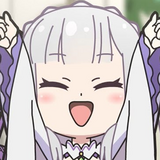 I won’t be missing an episode, and I’m looking forward to following the anime with all of you.